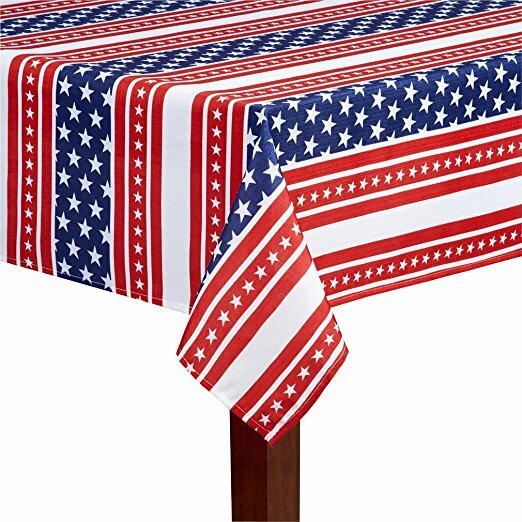 Stars and stripes are continuous throughout the cloth. Easy-care 100% polyester. Machine washable and can be tumbled dry. Perfect for your Patriotic Holiday.